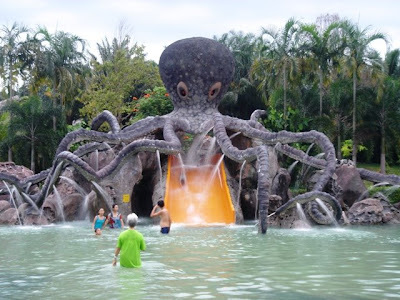 Sungai Klah hot spring is easily accessible either through the North-South Expressway between Kuala Lumpur and Ipoh exiting from Sungkai Toll. Once you exit from this toll, turn left and travel about 1 km. You will notice sign board directions to turn left and for another 9km to the park. 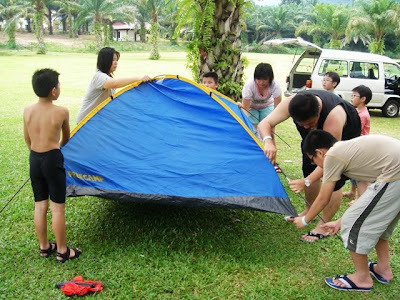 Our group comprising of 58 participants from toddler to grandma planned a camping trip. The cost of the packages including overnight stay (own tent $10 ground charges, rented tent $30 for 2-3 persons), 1 tea break, 1 dinner, 1 breakfast, 1 morning tea break and lunch for only $59 per person. We have friends from Kajang and Klang and we plan to meet in Sungkai for lunch. Sungkai is a small town located of the main trunk road from Slim River to Bidor. From the toll exit turn right about 1 km to Sungkai town. One of the famous local food is the Salted Chicken or 'yim cook kai' in cantonese only available on Saturdays and Sundays at Restaurant Sun Kee. Once you see Sungkai Police Station turn left and follow road until a junction then turn left you will notice S.J.K. (c) Khai Meng Sungai primary school just few meters away is the Restaurant Sun Kee. From the outside it looks like any ordinary restaurant but it serves delicious dishes as well. That afternoon it was particularly hot and luckily 'ice kacang' was available to cool us down. After lunch we proceeded to Sungai Klah Hot Spring which takes about 12-15 minutes and we call up to inform Mr. Azizi (Sales & Marketing Department) of our arrival. It so happen the park was having a family day function organized by a large corporation and parking was filled to the brim. With a further of 15 vehicles from our group we had to park haphazardly until the group left at around 4.00 pm. As it was such a hot afternoon it was not advisable to dip in the hot pool and instead the cold mountain spring pool. 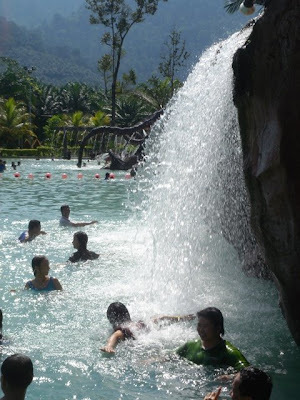 The Sungai Klah mountain spring pool is such a big pool divided for the children and adult. One of the parks' officers told me that the water is piped from a small dam up in the mountains about 2-3 km away and is cold hence the name Sungai Klah mountain spring pool. It strictly opens from 10.00 am to 7.00 pm. While the hot spring pool opens from 8.00 am to 10.00 pm. Egg Boiling Pools (7 mins for Hard Boil) . Splashing Time Beneath Water Fall. As the members were beginning to settle down after exploring the place, tea was served at 4.15 pm. 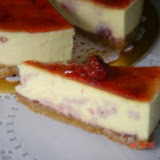 The local cakes were delicious but the hot tea served was too sweet and ice was added to dilute it. After tea break members continue to enjoy the mountain spring pool till 7pm and went to enjoy hot pool till dinner served at 8.00pm. After dinner our family went for another round of dipping in hot pool. At night the children went to make hard boiled eggs at the 'egg boiling pool' and they were good at it. The place is well lighted and children can roam around safely. Sungai Klah Hot Spring has another natural uniqueness is that its windy due to the geographical position with the hills on one side and flat land on the other. It is windy throughout the night making it cool and breezy and free of mosquitoes. The next morning after breakfast, some members went for the boardwalk and enjoy the natural sauna. Today no more hard boiled eggs because the night before they had have too much of them. Most of them went for a dip in the hot pool while waiting for the mountain spring pool to open at 10.00 am. There is also The Family SPA which was not included in our package. It cost RM75 per hour. After the morning tea, most of the members were ready for the mountain spring pool. After lunch we left Sg. 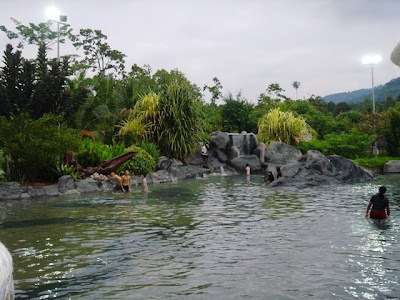 Klah Hot Spring around 1.30pm for home with fun memories.